Why does it seem our society isn’t evolving into a more moral society, one with more compassion, not less….you know, the way Jesus would have wanted? A society that celebrates the the limitless potential of the human mind and spirit. One consideration is religion. No, I’m not bagging on the LDS church (exclusively) on this one. Quite the contrary, as many of these transgressions of organized religion occurred many centuries prior to the birth of Joseph Smith. However, the insistence of the Religious Right to denounce science and its evidence today is a bone of contention I must pick with anyone affiliated with the Republican party. Apparently, one can track the demise of scientific progress by noting the inception of renewed religious fervor in a particular society. Let’s take the modern day birth of the moral majority, during the Reagan years. The decline of NASA and astro-physical progress had begun. Here’s a quote from Dr. Tyson (@NeilTyson) on the matter: “Apollo in 1969. Shuttle in 1981. Nothing in 2011. Our space program would look awesome to anyone living backwards thru time.” If we put our faith in god, why bother learning more about our universe, right? He’ll take care of us eternally, provided we accept him without question…we hope? Truly, that’s ridiculous and the dissolving of NASA’s space program in 2012 has disheartened millions of thinking Americans to no end. Religious fables should by no means dictate any policy, especially when it comes to science. But this isn’t the first time in history the ultra-religious have stamped out progress. The Arabs were the first to create advanced engineering and mathematics back in the ninth century, A.D. Through the start of the twelfth century, the cultural and scientific epicenter of the world was located in Baghdad (a city we’ve help decimate with our war on terror). Watch this fantastic video: religion causes the erosion of progress. DeGrasse Tyson explains how a dark period of advancement and discovery seems to follow an increase in religious fervor. 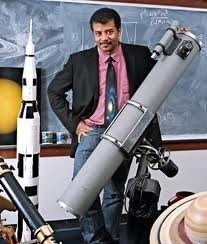 But I digress (because Mr. Tyson is a source of endless knowledge and discovery to so many). The real problem is religion hurting people, not helping them. Carl Sagan, an atheist, acknowledges the positives of religion. In his magnum opus, Cosmos, he says, “there is no question that religion provides a solace and support, a bulwark in times of emotional need, and can serve extremely useful social roles.” (p. 289) Practically, that’s the only real purpose of religion, as far as he’s concerned (and me too). But its negatives can be pretty dire for society in many ways. I can’t possibly elaborate on all of them, so I’ll touch on a few. Taken from the tragedy of religion stifling science: “The Bush administration lost us eight years of stem-cell research; proposed cuts to environmental and biological research are trudging through Congress under the guise of “deficit reduction,” but are clearly attempts to kill research on right-wing religious grounds. Mississippi, 50th among states in job creation and money spent on education and children’s health, has spent the past three years trying to fashion a law to circumvent Roe v. Wade, as if that were its most pressing problem. Most red states are still trying to kill off Darwin!” Of course forward thinking, apparently a communist platform, isn’t in keeping with the Old Testament mindset so prevalent in the GOP play book. Naturally, the issue of marriage equality is at the forefront of any news story this week. As soon as President Obama spoke out in favor of marriage equality, A.K.A. gay marriage, the GOP House moved in favor of banning marriage equality. If you really want to see what the Bible deems acceptable in the sphere of marriage, check this out. The top 8 ways to be ‘Traditionally Married’ according to the Bible. The modern day disciples of Jesus (allegedly) aren’t ones to defend DOMA. They ought to embrace everyone, as Jesus was said to have done. He seemed like a very accepting man, why can’t his followers emulate his behavior? Why must the progress and wondrousness of the human mind and spirit be shut down by those who feel they should be in charge? My answer: only the heavens know. Previous Post Why Does the GOP Want the Rest of the World to Point and Laugh at America?